Earth color, brown bronze, beige. 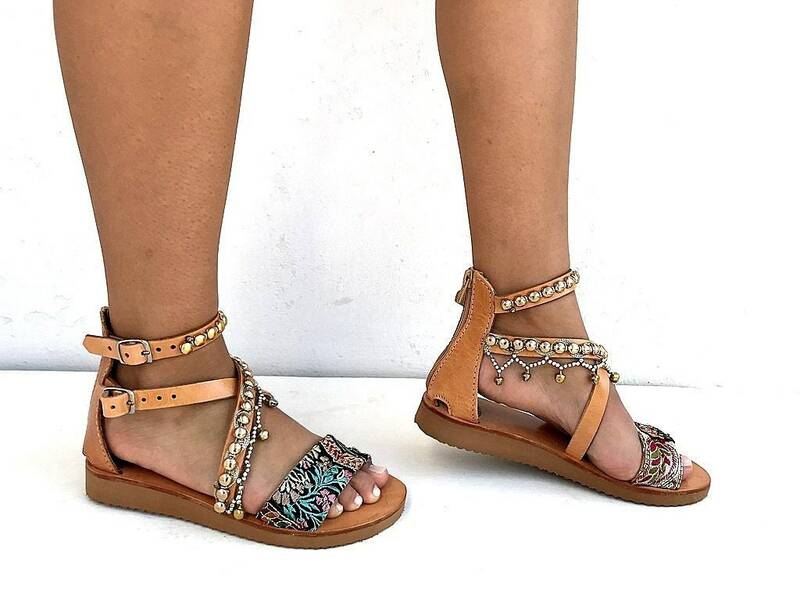 These leather sandals are made with earth color fabric trims, bronze coins and gemstones. The back zip closure makes it a breeze to put on. This leather after one day wearing become soft.